Application: Seamless Carbon Steel Boiler Tubes For High-Pressure Service. General Manufacturing Process: The fin strip is welded continuously and spirally wound onto a polished bare tube. 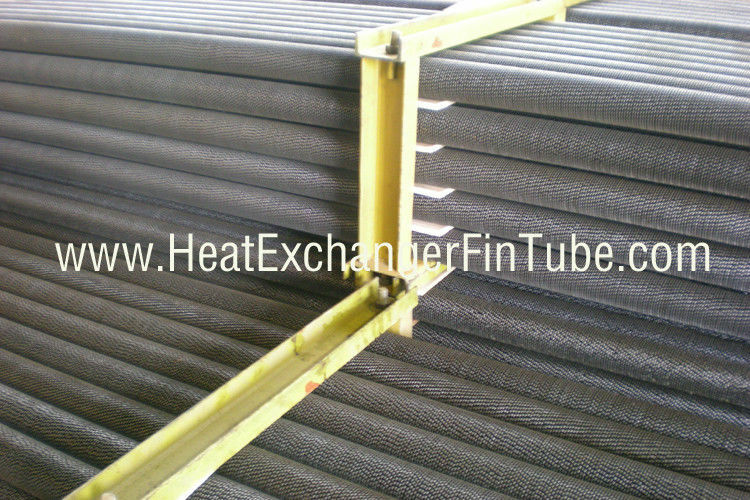 And the tube and fins are bonded together by using high frequency resistance welding technique. The High Frequency Resistance Welded Spiral Fin Tube quality is assured by hydrostatic or pneumatic tests and tensile tests in order to verify the mechanical bonding between bare tube and fin materials. Acceptance criteria: INTERNATIONAL STANDARD FOR DIMENSIONS, TOLERANCES, AND TESTS OF HIGH FREQUENCY RESISTANCE WELDED FINS or the delivery conditions (TDC) of clients. Bending check: ovality, thickness and area reduction. Coating: outside-Red oxide zinc phosphate primer and inside volatile corrosion inhibitor (VCI) in water soluble tablet form. Delivery condition: Tube ends are square cut, free burrs, internally dried and air blown clean, externally coated with varnish at both ends of helical welded tubes. The desiccants are put into the each package for continental transportation as well. 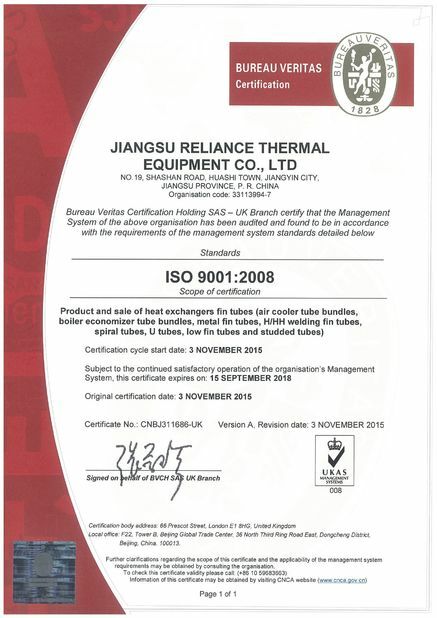 Documentation shall include QAP, WPS, PQR& WPQ, raw materials mill certificates, inspection and test samples results and warranty certificate of manufacturer.